The Kendama USA Tribute is a premium kendama, using only the best FSC-certified beech wood to ensure sustainable forestry practices. Unlike older traditional style kendama handles, this contemporary style does not separate, which simplifies the re-stringing process. The Tribute can be re-strung between right and left handed play simply and easily without taking the handle apart. The cup piece will never fall off like other brands. 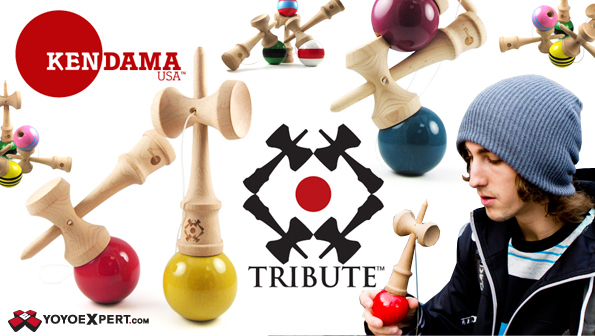 The Tribute Kendama uses a custom woven string which offers more strength and flex during play. The handle has been beveled to reduce friction and eliminate the need for string guards. The Ken is now thicker toward the middle of the handle, improving the balance and weight distribution for many technical balance tricks like lighthouse and lunars.